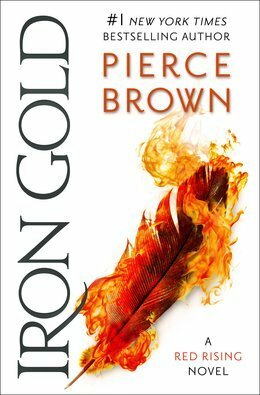 what happened in Iron Gold? It’s ten years after the events in Morning Star. Darrow is married to Mustang and they have a ten year old son. Sevro married Victra, and they have a bunch of children. Dancer is now part of the Senate. Mars is no longer safe, so they all live together on Luna. Darrow liberates Mercury, and the Senate aren’t happy because they told him not to do it. Darrow wants to ask for more troops to defeat the Ash Lord. We meet a girl called Lyria, who is a Red living on Mars. Her living conditions on the planet aren’t great, and her people aren’t sure if liberty was worth it as they seem to have been forgotten. A group called the Red Hand is killing Gammas. They kill Lyria’s brother. A guy called Kavax saves Lyria from drowning and then takes Lyria and Liam to Luna. There’s a hearing for Darrow’s disobedience. Apparently the Ash Lord wants peace but Darrow is having none of it. Darrow accidentally kills a guy called Wolfgar, and he has to flee Luna. The Duke of Hands wants Ephriam to steal some children. Lysander and Cassius rescue a Gold called Seraphina from some Obsidians. Seraphina is the daughter of someone important – the Sovereign of the Rim (lol) Dominion. The three of them are taken to Io as prisoners. They manage to hide some evidence that Seraphina found about the destruction of the dockyards. Lyria and the others start to settle on Luna. Lysander and Cassius are taken in as guests by Seraphina’s mother. Darrow helps Apollonius escape from prison. Apollonius is the heir to an army, which Darrow wants to use to destroy the Ash Lord. Apollonius agrees to help. Darrow discovers that his niece, Rhona, stowed away on his ship. Lyria is almost arrested in Hyperion, but Ephriam – disguised as Philippe – vouches for her. He gives Lyria a necklace. Lysander and Cassius go to Sungrave. Seraphina’s mother finds their safe. They won’t open it, so there’s a fight. Lysander tells everyone who he is and opens the safe. The evidence in the safe proves that Darrow destroyed the docks and killed ten million people. They tell Lysander that Cassius is dead. Quicksilver has a birthday party, where Lyria meets Mustang and Pax. They travel back on the same plane, and Lyria’s necklace paralyses everyone. Ephriam kidnaps Pax, Electra, and Lyria. The Duke of Hands is working for The Queen. Apollonius and Darrow get to Venus and start readying the army. Ephraim tries to leave Luna but he is taken to Mustang. She tells him he must save the children that the Duke has been collecting. Sevro doesn’t like Darrow’s plan. The army attacks in the Dark Zone. There’s an issue because the electronics won’t work. They manage to get through to the stronghold. Romulus’s mother goes to Lysander and asks him to break Romulus out of jail. Lysander tricks her to show loyalty to Dido. Ephraim manages to rescue the children from the Duke, although he gets wounded. Mustang asks Lyria to join them. Lyria is kidnapped by someone from House Barca. Darrow finds the Ash Lord ill and dying. He finds out that the Ash Lord’s daughter, Atalantia, has been in command for the past three years. The Ash Lord tells Darrow that he’s kidnapped his children. They group kills the Ash Lord. Atalantia is ready to strike Mercury. Romulus is found guilty of treason. Ephriam tries to return the children to Mustang, except The Queen attacks the plane. Ephriam detonates a bomb to help him and the children escape. how did Iron Gold end? Darrow lets Apollonius go. Sevro returns to Luna to find the children. Darrow takes a ship along with some hostages and plans to travel to Mercury to stop Atalantia.